Which Is The Best Quilting Sewing Machine To Buy? Quilting is so much fun! I mean, who wouldn’t enjoy having the ability to create such beautiful projects using your hands. However, if you intend to pursue quilting on any level, you will need a reliable quilting machine. Good sewing machines for quilting will come with features that make quilting much easier for you and help you hone your skills. 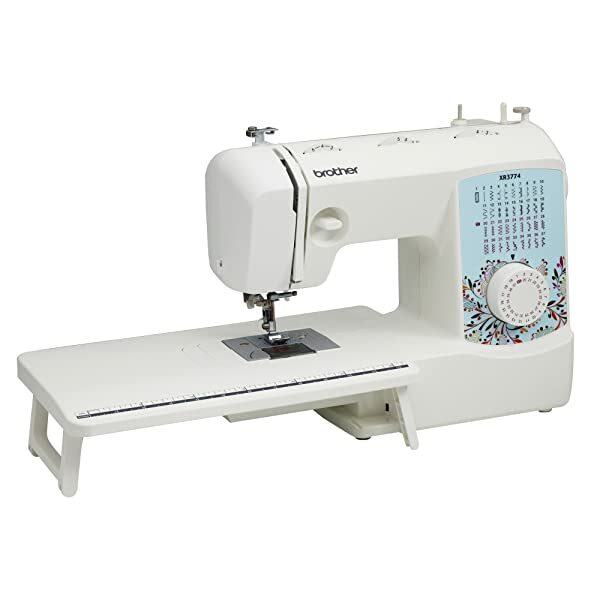 These machines are usually larger than your usual sewing machine and come with wider throats that enable you to complete bigger, more complicated projects. So, which is the best sewing machine for quilting? Well, we are here to answer that very question. We have featured some of the best machines out there. These quilting sewing machine reviews will make it easier for you to make an informed decision. It’s definitely not easy to choose a suitable large throat sewing quilting machine for yourself. To easily compare quilting machines, take a look at our quick comparison table. It will surely simplify your selection process. 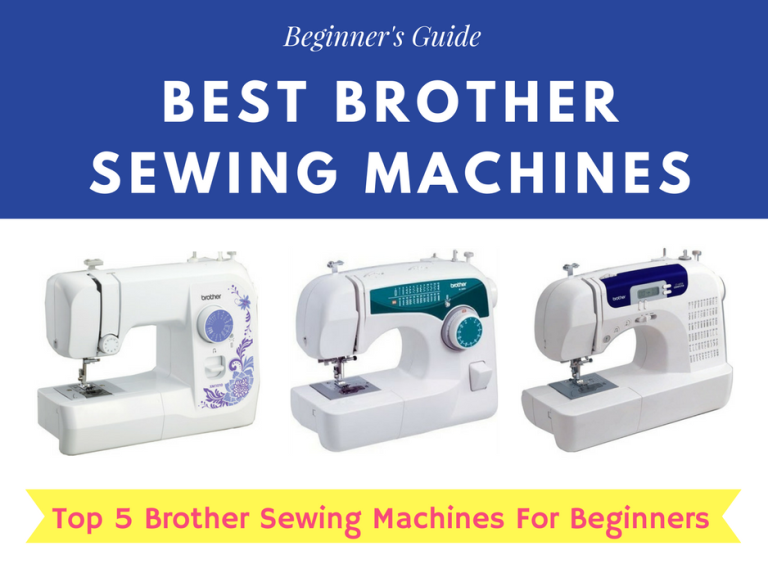 For detailed comparison of sewing machines for quilting, see here. 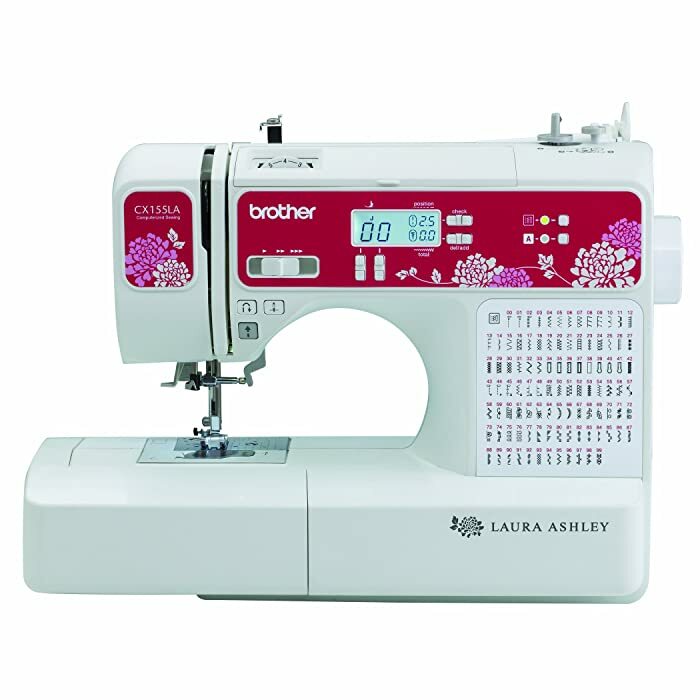 The Laura Ashley CX155LA is cute and reliable, a quality that is expected of a Brother quilting machine. The major highlight of this computerized quilting machine is that it can perform both sewing and quilting functions perfectly. Some even refer to it as a hybrid machine. Weighing in at only 18 pounds, this is a lightweight sewing machine for quilting. This makes it easy to carry this machine to quilting class whenever you need to. You will also be happy to know that the Laura Ashley CX155LA comes with 155 built-in stitches that enable you to create a lot of unique designs. One of the things I personally love about this machine is that it is really easy to use. This is mainly due to its easy setup and the presence of an easy to use needle threader. However, there are some concerns about this machine. There are those who feel like it’s not sturdy enough since it’s made entirely of plastic. The Laura Ashley CX155LA is an adorable yet functional machine. It offers you a bunch of features while still maintaining an aesthetically pleasing exterior. More importantly, it’s durable, reliable, easy to use and highly affordable. Ultimately, it gives you good value for your money. 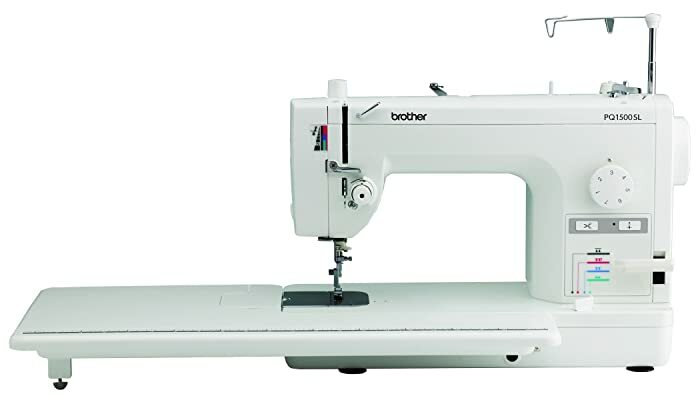 The Brother XR3774 is a mechanical quilting machine. It is most popular for being easy to set up. This makes it especially suitable for beginners and intermediate quilters. It is also easy to operate due to its built-in needle threader and LED-lit work area. With only 37 stitches, this machine doesn’t have a lot of features. However, it’s way cheaper than the Laura Ashley CX155LA. In fact, this is the best inexpensive quilting sewing machine available. Although you may find the Brother XR3774 a little loud at first, you will get used to it with time. I have come to realize that this is the quietest quilting machine you will find at this price range. In fact, you can comfortably use this machine while talking or listening to music. As much as this quilting machine has a lot going for it, it also has its quirks. For instance, a couple of people initially struggle with the needle threader. Additionally, you will have to buy extra accessories as it doesn’t come with all your needs. Although I wouldn’t recommend this quilting machine for professional quilters, it’s quite efficient for beginners. For its affordable price, the Brother XR3774 is what we call a good bang for your buck. The Singer Confidence Quilter was built specifically with quilters in mind. It comes with 98 built-in stitches, four quilting feet and a wide quilting table that make quilting easier. Other features that improve your quilting process are the programmable needle up/down feature and the drop feed. Needless to say, this machine is a quilter’s dream come true. 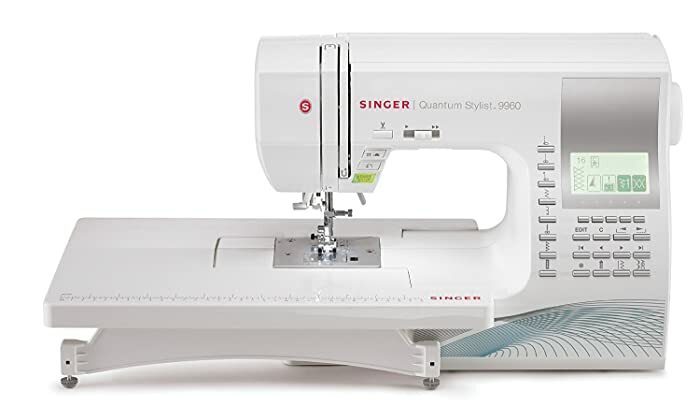 This Singer quilting machine also comes with lots of other features and accessories that are helpful for not only beginners but also professional quilters. You will also be happy to know that the Singer 7469Q Confidence Quilter is a portable sewing machine for quilting. This portability makes it easy to carry it with you to quilting classes and clubs. All in all, I feel that this quilting machine is quite convenient. However, this machine also has its drawbacks. First of all, its LED light is not bright enough for most people. Also, there are no instructions for some of the accessories that come with this quilting machine. This makes them frustrating to use. The threads can be secured by pulling both of them to the back of the fabric and tying them together. 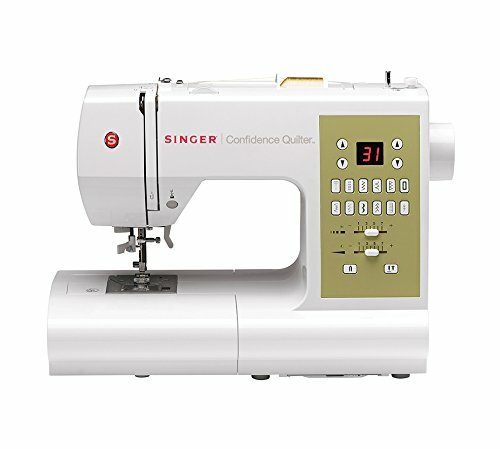 The Singer Confidence Quilter 7469Q is a perfect starter sewing machine for quilting. It offers you a bunch of amazing features and accessories at a reasonable price. Every quilter should look into getting this machine. I must say the Singer Quantum Stylist 9960 surely doesn’t disappoint. 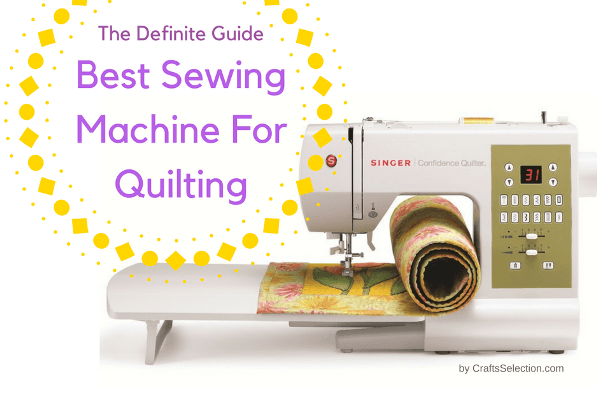 It’s arguably the best Singer sewing machine for quilting. This is because it comes with tons of useful features that experienced quilters will find very helpful. First of all, it comes with 600 built-in stitches. This, by itself, is quite exciting. But it doesn’t end there. It also gives you error messages audibly. This is a feature that you can enable and disable as you please. It also comes with an automatic needle threader and automatically sets length and width of stitches for you. Due to such features, I found this machine a delight to use. It’s just so convenient. Another strong selling point of this Singer sewing machine is that you can set it to sew by itself. Additionally, you are still able to use it without the foot pedal. This comes in handy for those who have arm or leg problems. It’s also important to mention that the Singer Quantum Stylist 9960 is a heavy duty sewing machine. It has a metal frame that keeps it still during projects. It, therefore, undertakes large projects seamlessly and is generally quite durable. However, it’s too heavy to carry to quilting classes. Make sure to get thicker needles for your quilting projects. The ones enclosed in the package are too thin for use with thick fabric. The Singer Quantum Stylist 9960 is a pretty good buy. As a result, it has become a top-rated sewing machine for quilting. Its rich features allow you to create very beautiful quilts. Although it can be overwhelming for a beginner, it’s a worthy investment for an experienced quilter. The Brother PQ1500SL is one of the best quilting machines for home use. This versatile machine can sew, quilt and make other projects such as dolls. It is most popular for its high sewing speed of 1500 stitches per minute. 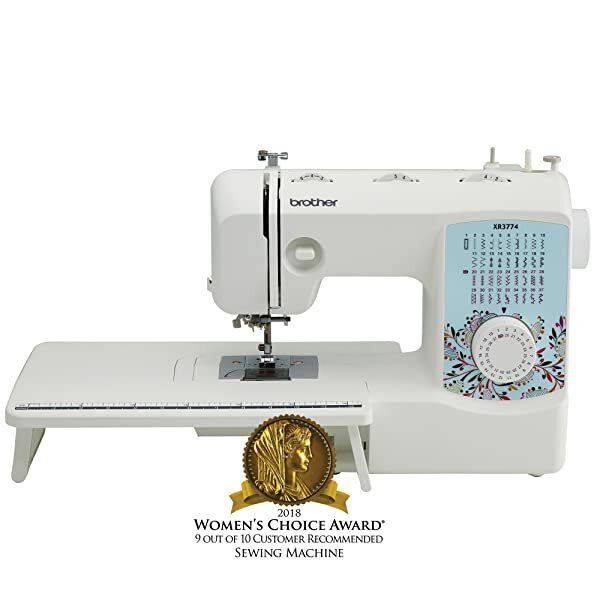 It’s one of the fastest sewing machines available. This speed enables you to produce quilts in a very short time. Although this machine does not have as many features as the Singer 9960 Quantum Stylist, it has enough. With features like the automatic needle threader, needle positioner, and auto thread trimmer, it is convenient and easy to use. I just have to mention the knee lifter that is included in this machine. It ensures that the sewing process is much more comfortable. You will also be happy to learn that this straight stitch sewing machine can serve you for life. That is, if you take care of it properly, of course. Unfortunately, it also has its drawbacks. For instance, it doesn’t come with an overcast stitch. Its short power cord may also prove inconvenient. There are also who don’t like the fact that this machine is manual. They would prefer to have some on-screen help. Although the Brother PQ1500SL only comes with a straight stitch, it’s definitely worth it. Its high speed and the fact that it can handle any project you throw at make this quilting machine an attractive choice. If you have been quilting for a while, you should look into getting this awesome machine. Juki has been producing home sewing machines for over 75 years. It is a leading brand in this industry and is known for producing affordable, high-quality sewing quilting machines. This quilting machine review simply wouldn’t be complete without a Juki machine. 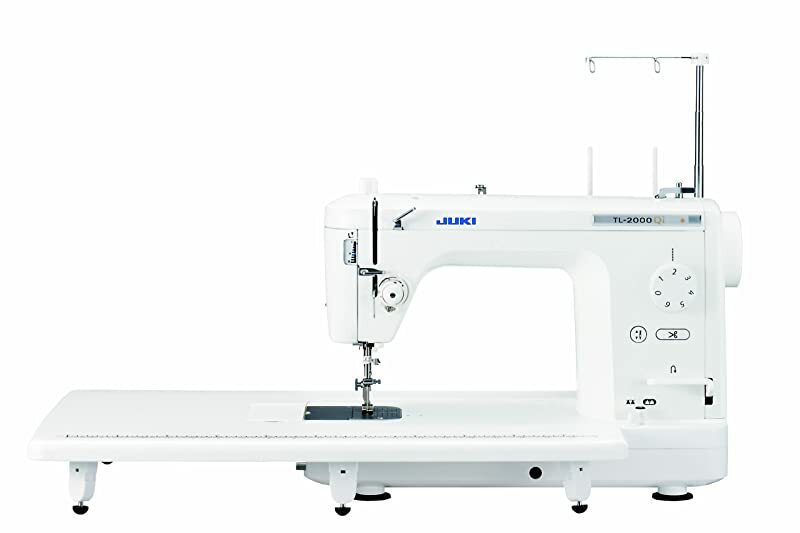 The Juki TL-2000Qi is a mid arm quilting machine. Due to this, it comes with a lot of space and features that make it perfect for quilting. Like the Brother PQ1500SL, it sews very fast at a maximum speed up to 1500 stitches per minute. It’s also worth noting that the speed of this machine is controlled by a micro-computer allowing you to set the speed you want. Although this Juki quilting machine only does straight line stitching, it greatly excels at it. The quality and precision of its stitches make it even more suited to quilting. However, what I find most appealing about the Juki TL-2000Qi is that it’s ideal for free motion quilting. This is due to features like the drop feed and the feed dog. This feed dog only requires the press of a switch to raise and lower it. As much as this quilting machine is amazing, it also experiences a few challenges. The main one, however, is that it’s not suitable for beginners. Additionally, it can only sew straight line stitches. Finally, the price of this quilting machine is a bit on the high side. The Juki TL-2000Qi sewing and quilting machine is undoubtedly the best home quilting machines. Everything about it is specially designed to meet your quilting needs. Try it out! This might be just what you need. Much like the Juki TL-2000Qi, the Juki TL-2010Q is a straight stitch quilting sewing machine that works at 1500 stitches per minute. As much as these two quilting machines are very similar, there is one outstanding difference. This is that Juki TL-2010Q comes with a variable speed trigger that is noticeably absent in its counterpart. Another difference is that the Juki TL-2010Q has a sub tension lever and tension scale. Since the Juki TL-2010Q is completely mechanical, it’s also very easy to set up and use. As a heavy duty sewing machine, it can handle thick and heavy weight fabrics like denim, jeans and leather just as well as it handles the thin, fragile ones. Professionals will be especially comfortable using it. However, this Juki quilting machine also experiences some drawbacks. A huge one is that using the automatic needle threader can be really frustrating. Additionally, many people have complained about accidentally activating the thread cutter severally. The Juki TL-2010Q is definitely a step up from the Juki TL-2000Qi. It was obviously designed with quilters in mind. With all its convenient features, professional quilters will find this quilting machine such a delight. Juki has outdone itself once again with the Juki HZL-F600 computerized sewing and quilting machine. The first thing you will notice about this sewing quilting machine is that it comes with 255 built-in stitches. This ensures that you have a stitch for every occasion. Another selling point of this quilting machine is that it comes with a box feed system instead of the traditional oval motion feed system. This makes sure that the fabric doesn’t experience any form of shrinkage. 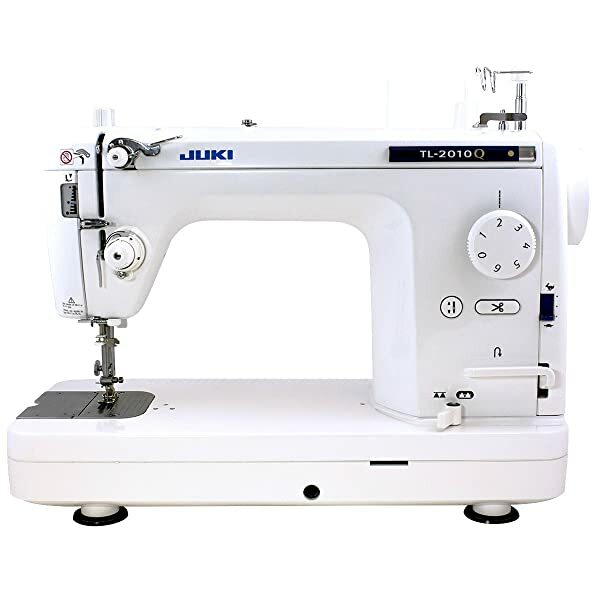 The Juki HZL-F600 is also known for its random stitch option. This feature allows you to set the stitch length and width randomly ensuring that you get a unique stitch. This brings a beautiful uniqueness to your projects. However, what I like most about the Juki HZL-F600 is that it comes with a clean lid design that offers protection from dust. As if that isn’t enough, this computerized sewing and quilting machine has two bright LED lights that illuminate your workspace. Apart from this, the Juki HZL-F600 also comes with an LCD screen that makes it user-friendly. However, this quilting machine is quite expensive and too complicated for beginners. There have also been some complaints about the random stitch function just being too random and therefore not serving its original purpose. The Juki HZL-F600 is a refreshingly technologically forward piece of machinery. It is full of unique features that make it the perfect quilting companion. Although it may be a bit expensive, it’s definitely worth every penny. These are quilting machines that aren’t laden with many complicated features. They are easy to use and are therefore suitable for quilting beginners. Hobbyists who quilt occasionally could also benefit from these quilting machines. They are also perfect for those people who can’t afford high-end machines and just need the best cheap quilting machine they can find. If you are an experienced quilter who is looking for a quilting machine with more advanced features than the above basic quilting machines, take a look at the these models. These machines are mid-range quilting machines. They are suitable for large projects and are mainly for home use. The following quilting sewing machines come with top-of-the-line features. They are perfect for professionals and are known to produce high-quality quilts. Although all the featured quilting machines are awesome, there are those that truly stand out. In the case of beginners, I strongly recommend the Brother XR3774. Its suitability for beginners has a lot to do with the fact that it’s cute, affordable and light enough to carry to sewing classes. On the other hand, if you’re looking for a machine for home use, you should go for the Juki-TL2000Qi. This is because it’s fast and capable of performing free motion quilting. It also helps that you will be able to handle large and heavy quilting projects. 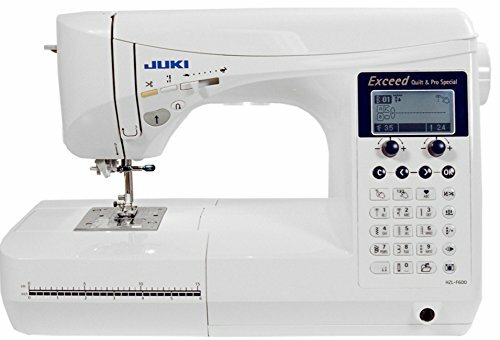 Finally, professional quilters would be safer buying the Juki HZL-F600. This machine comes with technologically forward features while still not going overboard on pricing. 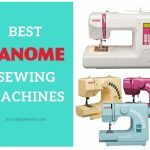 In conclusion, I earnestly hope these best sewing machine for quilting reviews have helped you come to a speedy decision.